I was forbidden to exhibit this work in school. Later it was allowed for display at the top floor of the school building to avoid fifth-graders being confronted with it. I felt the teachers widely underestimated the intellectual capabilities of younger folks. 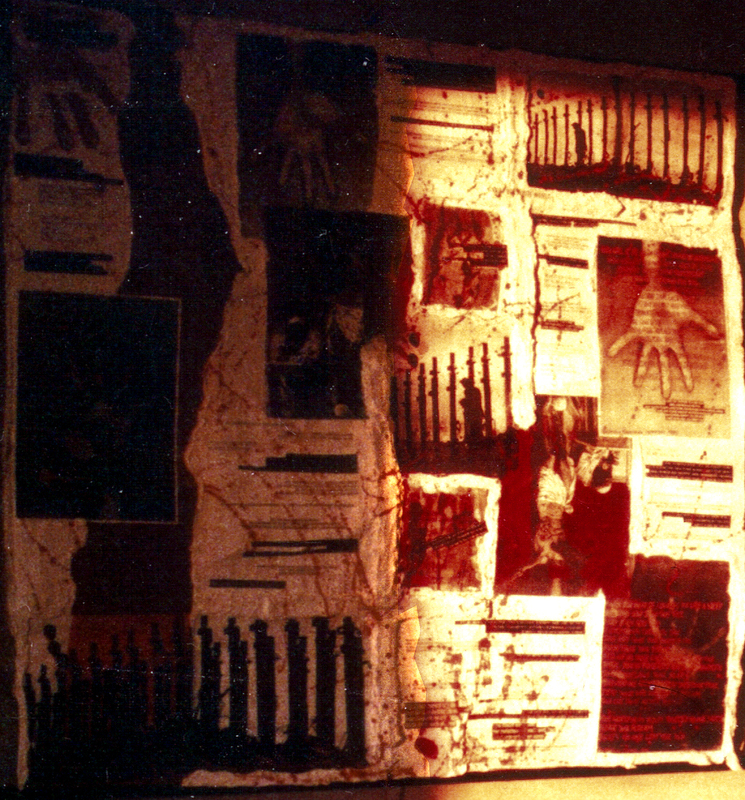 The collage itself was damaged during several movings and was later trashed. This photos shows it hanging in my former apartment and is the only record.